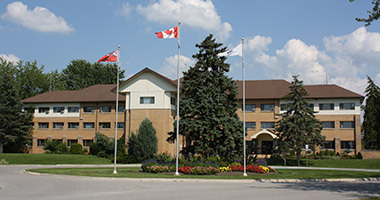 The Council of the Corporation of the Town of Georgina passed By-law No. 500-2017-0002 and By-law 500-2017-0003 on May 17, 2017 pursuant to Section 34 of the Planning Act, R.S.O. 1990, c.13 as amended. Through the public consultation process undertaken in relation to the proposed amendments to Zoning By-law 500, including the holding of a Public Information Meeting on October 17, 2016 and two public meetings in front of Council held on February 27, 2017 and May 3, 2017, the Town received numerous verbal and written submissions that were analysed and discussed in several staff reports including Report No. DS-2016-0089 presented to Council on December 14, 2016, Report No. DS-2017-0011 presented to Council at the Statutory Public Meeting held on February 27, 2017, and Report No. DS-2017-0045 presented to Council at a further Public Meeting held on May 3, 2017. Council considered all public submissions received on this matter, the effect of which helped Council to make an informed decision. Report DS-2017-0045 May 3, 2017 Council Meeting "Recommendation to Approve Proposed Zoning By-law Amendment"
Report DS-2017-0011 February 27, 2017 Council Meeting "Recommended Changes to Proposed Draft By-law"
Report DS-2016-0089 December 14, 2016 Council Meeting "Proposed Draft By-law"
Report No. DS-2016-0061 August 10, 2016 Council Meeting "Options to Amend"
Many development applications are subject to public participation. For current development applications with high public interest, the Town will provide ongoing updates on our web page. The Town provides various notices throughout the life of a development application. Should an application be subject to an appeal, a hearing before the Local Planning Appeal Tribunal (LPAT) will be scheduled. To view our current planning public notices, please visit the Planning Public Notices web-page.